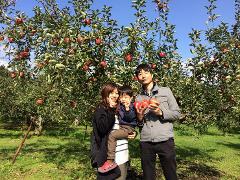 You can enjoy cherry picking in Hirata Farm. 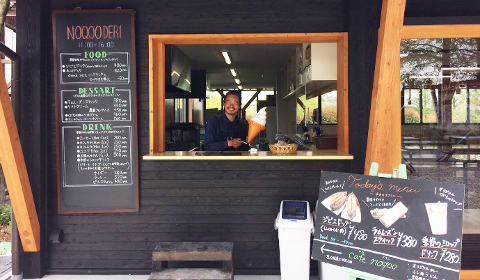 Miyoshi city in Hiroshima, where Hirata Farm is located, is blessed with an ideal environment to grow delicious fruits, having clear air and water, and a difference in the temperatures between nights and days. Savor sweet and well-colored cherries to your heart's content. Picking high quality cherries made in Hiroshima. Enjoy Amusement park which has extensive ground. Taste many kinds of cherries. It's in a greenhouse so you can experience it even if it rains. 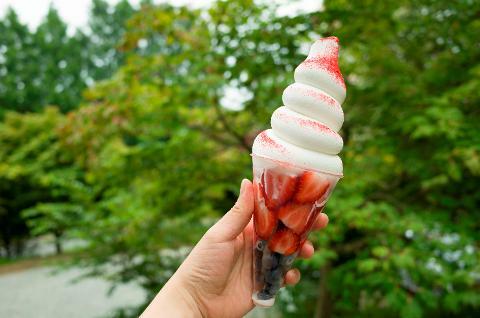 ・Enjoy local food such as fresh fruits and sweets at the cafe. We will give a briefing on our farm and the safety. Now it's time for cherry picking. Cherries are so delicate that they are grown in plastic houses. 3．Taste various kinds of cherries! 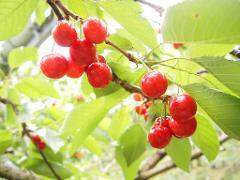 We grow several kinds of cherries in large plastic house. One of the attractions of this experience is that you can eat and compare various kinds of cherries. How did you enjoy the cherries we are proud of? We are looking forward to seeing you again! ・Please bring a sun hat as it may get hot. ・Pants are preferable rather than a skirt. ・Bring a jacket easy to take on and off.